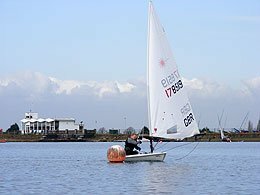 The final race of the winter season arrived but unfortunately the wind didn't! 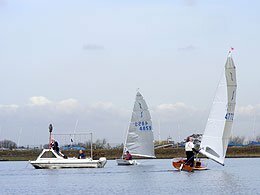 21 boats ventured out for the morning race, a great turn out given commitment by all at the club at the RS200 Open on Saturday. 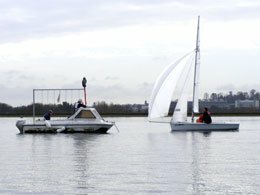 The handicap fleet set of first and the RS400 of Paul Browning Chris Martin soon established a lead on the water. Kevin Pearson and John Magrath led the Laser class upwind to the first bouy. It was the final race in the Solo open series as well as the winter series. The Solo fleet set of last and Gareth Griffiths just had to defend his overall standing in the Open and winter series.